Thanks For landing on my about me page and I am feeling Proud that you want to know something about me Well My Full Name is Hasnain aziz. I am from Sargodha(City of Shaheen) Pakistan. 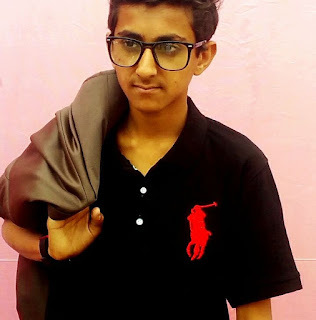 I was born on March 1, 1998 in Sargodha Pakistan. I was addicted to the internet since I bought my first Personel Computer. My blogging journey starts Back in 2014, I am in front of my laptop searching about how to earn all internet users want to earn something while sitting home.I landed on many so called sites like click to earn or refer programs. While searching and reading many articles I learned something called blogging. A blog where you can write and spread your knowledge to the world. After this, I learn how to make a blog. In that time I can’t afford WordPress so I start with a free platform called Blogger. I landed on many sites There are favorites I want to mention (Mybloggertricks.com and Mybloggerlab.com and Onlineustaad.com)and with the help of them, I launched my first blog it was a health niche blog called Clubsideeffects because I just select randomly so I just start. Don’t make this mistake choose in which you are expert and in which you know and interested. After Many years of hard work not get any success in health niche I made a decision to shut down it and launched my own blogging related blog where I teach other bloggers that how to blog. Since three years I learned a lot about blogging so this category suits me. Till noweducation4pak made some good start. After 9 months I decided to move this blog to WordPress a self-hosted platform which is one of the awesome platforms if you really want to do professional blogging. Well, why WordPress because WordPress is so easy for new bloggers because you do not need any knowledge of HTML like in blogger and there are plugins which help you to do many tasks with just some clicks. One of my fav resource to learn WordPress is called . For new bloggers, wordpress is little costly blogger give you free hosting but in WordPress you need to buy your hosting and setup of WordPress is also little long but after all, setup done you ‘ll defiantly love. I made two guides one for the blogger if you can’t afford WordPresss and one for WordPress. The target of this blog is cover all blogging tips, guides, tutorials.